The Original Round the World Experts, we’ve been travelling the planet spreading love, peace and adventure since 1979. 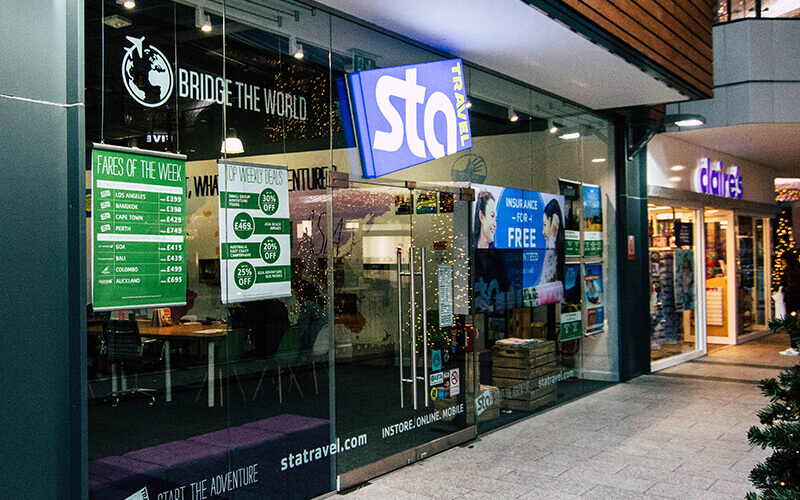 Today we have more than 200 stores in over 60 countries and are bringing the adventure to Victoria Square! As the world’s leading student travel company, we have the cheapest and most flexible airfares on the planet, but welcome all travellers – our only requirement is a love for adventure! From a gap year to a honeymoon; travel insurance policy to a dive course, we have the most knowledgeable Travel Experts and a price beat guarantee to ensure you always get the best deal. Call up, drop in or make an appointment to Start The Adventure today.